Caleb really likes to sleep with the light on. Caleb doesn't like any decorations on the walls because their shadows freak him out at night. David and Nathan want to hang everything up on the wall. 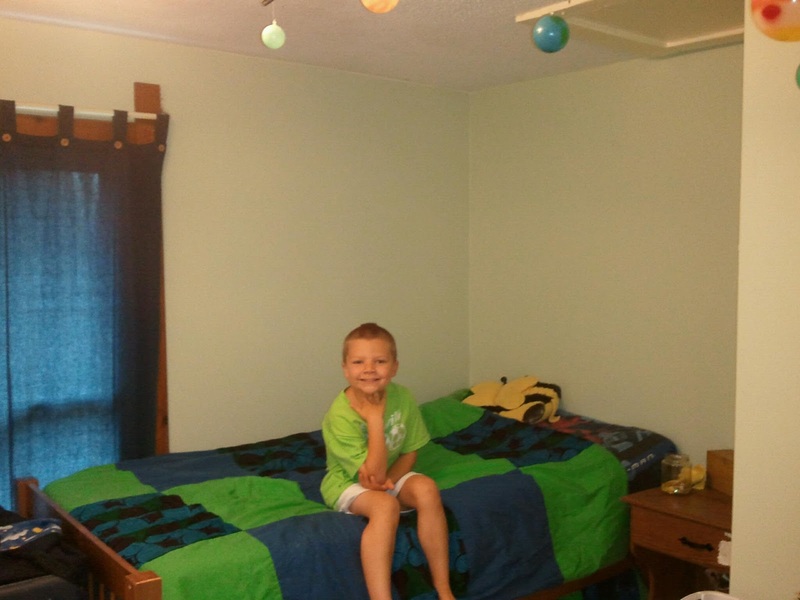 So we repainted the playroom and moved Caleb into his own room. It was the easiest decoration job I have ever done. He wanted NOTHING, just plain walls, books and his dog. He has been sleeping like a champ ever since. Caleb is very much enjoying his "alone space". Maddie is enjoying Caleb's new room too. Since it has nothing for her to chew up she gets her nights with Caleb on his bed. A good match for them both. Why didn't I do this sooner?